Another important point about classified ads. Online classified ads can be an effective means of advertising, if they are well written, targeted to specific audience and placed on online classified sites which have substantial traffic. They however should be placed in the right category. For instance, you wouldn’t place a business opportunity in the health section and vice versa. Lastly, since classified systems usually displays newer ads ahead of the older ads, your ad will continuously slide down and eventually skip to the next page and then second until nobody will see it. Therefore, it is paramount that you renew your ads and resubmit them. Some paid services will keep your ad at the top of their page for the duration of the service. For example, visit for more information. 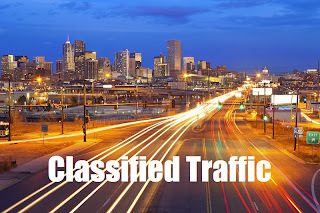 Many professionals use free online classifieds ads to test their offer. They then quickly see if their ad works or doesn’t work. Another option is to build your mailing list using free online classifieds ads by offering subscription to interesting newsletter and offering free e-books or samples. Classified ads in online newsletters Classified ads can be also placed in e-zines. Ezines stands for electronic newsletters. Some Ezine publishers will accept free ads from their subscribers and publish them at the end of the publication or mix with the content. Placing your ad in the ezine can be even more effective than online classified sites since ezines are delivered by email and usually cover a very narrow target audience. The best way to find online newsletters is to visit sites like those described in the initial parts of this workshpo and subscribe to newsletters of interests and monitor them for some time. Approach newsletter owners and offer to exchange ads between your newsletter and theirs for maximum exposure. Once you know who the editor is and what kind of audience is reading it, tailor your ads toward that audience. Once you know that your ad is working well, you can even purchase some more ads or exchange them for other services or products. Adlandpro offers several newsletters in several topics. One of them is called Adland Digest and has been in existence since 1998. I’m still accepting quality ads. For additional information, visit You can review recent archives here. Check links below for directories of e-zines. Are classified ads the best way to go? Let me be honest with you. There are zillions of classifieds sites on the internet and some of them are good and some are not so good. Therefore, your job is to weed out the good ones that receive very good traffic and use them over and over again. This will ensure that you only post ads on sites that have really great traffic. And lastly, don’t forget about Adlandpro Classifieds. Our site is in the top 5,300 sites in the world according to Alexa as of this writing and we receive tens of thousands hits per day. To take advantage of this wonderful opportunity, please place your new ad here. I was asked a question earlier today about blog or article posts and if they can be put on a third party site? I would like to answer this question as it is a common question being asked on the Adlandpro blogging community. First off we need to give a name to the process of putting your blog or site content onto another site and its called content syndication. Content syndication is a method where people can put their post or article on many websites or directories and While there is a debate going on as to the value of this style of "content creation", the fact is it is done on a daily basis. The reality from my perspective is that having the same content being put on a multitude of websites is not going to be valued as high as unique content and Google says that content that is deliberately duplicated across domains in an attempt to manipulate search engine rankings or win more traffic will be dealt with accordingly. SlideShare is a great platform to create content and with these 4 tips will help you understand the power of creating a presentation. To give you an idea of one way to create a presentation, I made a SlideShare about coffee…who doesn’t like coffee? Business success strategies are plans you put in place to achieve success with your business, regardless of what kind of business it is. This might seem self-evident, but years of watching what people are doing in the world of network marketing, especially online, demonstrate that most people don’t stick with the plan. How many times have you received an email with a subject line like that? I hope your first reaction was to delete it! Affiliate Marketing: Is It For You? Free Online proofreading tools are a great way to help you and improve your writing. Whether you are writing a blog post on the Adlandpro Blogging community, creating a comment or any other styles of writing that you are doing online, it is important to be able to proofread what you have written so that people will understand what you are saying to them. We live in a global community where in most cases we use the English language and it can be a challenge to write in a way that people will find what we say easy to understand. For many people who already “know” English, writing can still be a challenge on many levels. What is the importance of proofreading? Why online editor are selected?